ADIC is located in the mountainous city of Matagalpa, known as the coffe growing capital of Nicaragua just 2 hours north of the capital, Managua. The city has more than 100,000 inhabitants and the Department of Matagalpa is the country’s second largest with a population of approximately 480,000. ADIC has projects in the city of Matagalpa as well as in the surrounding rural communities within the Department of Matagalpa. Life is far from easy in the communities where ADIC works. People have very little financial resources, earning what they can as farm workers, coffee pickers, and laborers in coffee processing plants. Their communities lack important infrastructure, such as running water, sanitation, and even electricity in some cases. The roads are unpaved and in terrible condition, and in many places there are no roads at all, just footpaths. Deforestation, soil erosion, and water pollution, which are often at a crisis level in Nicaragua, have certainly impacted these communities. What does ADIC’s involvement mean for these communities? Where women once had to walk a significant distance to carry water from a contaminated river, they now have convenient and safe drinking water from wells that collect rainwater off their roofs. Families are composting their waste in double-chambered ecological latrines to be used as soil treatment, whereas before they had substandard latrines if at all. 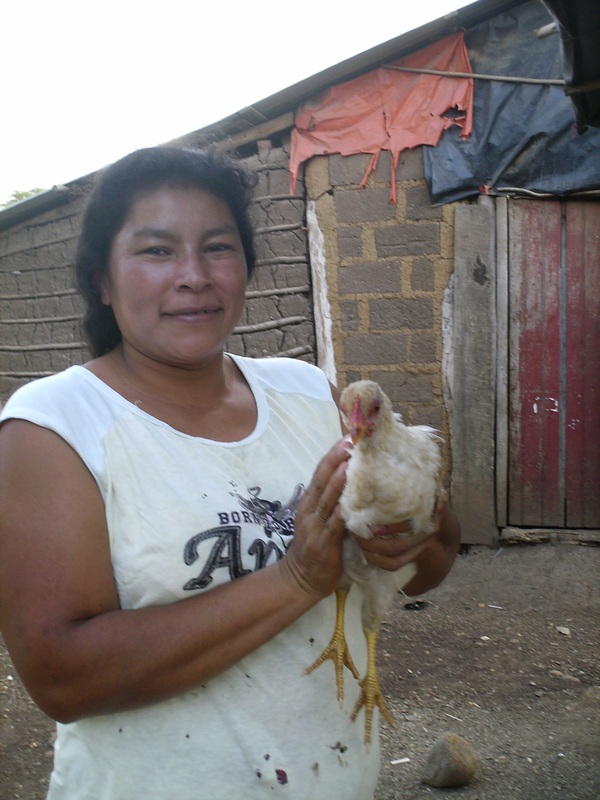 Family gardens and raising small animals are providing increased food security and nutrients and an additional income source from selling eggs, chickens, and piglets. Land that has become barren and dry is being replanted with trees providing fruit and shade, regenerating the ecosystem. A primary education in Nicaragua is free, but only about half of school-aged children are enrolled, in many cases because families can’t afford uniforms and school supplies. ADIC’s scholarships, about 30 per community, provide those items to ensure that children with the greatest financial need are able to attend school. ADIC also requires 4 hours a week of after-school tutoring for all students who receive scholarships. In 18 years of work, ADIC has developed projects in 14 urban and semi-urban neighborhoods in Matagalpa and 6 rural communities in the municipalities of Sam Ramon and Matagalpa. In addition, ADIC has established organizational relationships with 24 neighborhoods and communities. For a list of all the projects that ADIC has implemented, see our currículum.